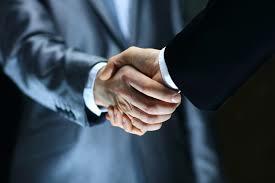 A purchase and sale agreement will, at the very least, identify parties and the business to be sold. It should also state whether the sale is a transfer of a company as an entity or of assets only, and if asset only, then it will list those assets. This part of the Purchase and Sale Agreement are much like a residential real estate contract that you signed when you purchased your home and you will see why shortly. The Purchase and Sale Agreement specify the sales price and how the sales price will be paid just like in a residential transaction. It will also provide the amount of earnest money to be paid to title company or to the seller, which is also just like a residential contract. There will also be a period for inspection. There are sections that cover the representations and warranties both seller and buyer have made to each other at the time of the contract. This section also provides for certain protections of confidential information that the parties don’t want each other or the public to know. The following section of the Purchase and Sale Agreement will specify what “conditions precedent” must be met prior to closing and provide remedies in the event that either party defaults on their obligations to the other. If real property is involved in the sale, then proper forms, such as will likely use the Texas Association of Realtors Commercial Contract – Improved Property (Form 1801) with appropriate addenda in order to make an offer on the property. I know that it is possible to simply use the standard forms and attach a Non-Realty Form addenda, however, that is usually not sufficient for ongoing businesses as there can be many more working parts in that case. At closing, documents in addition to the purchase and sale agreement will be required, for example: a certificate of resolutions for the company purchasing the assets or real property, a deed of real property to the new owner; if an asset sale, a bill of sale for inventory as well as furniture, fixtures, and equipment; a promissory note and security agreement if there is seller financing; a deed of trust if a loan against realty is involved; an approval by the landlord for the buyer to assume an existing lease; a customer or client list; various assignments; notice letters to customers and vendors; UCC forms; and other documents that might be necessary to properly complete the sale and transfer the property over to its new owner. Have a question about purchasing a company or commercial real estate in the Kaufman, Rockwall and Terrell areas? Call Guest and Gray, P.C. today! (972) 564-4644. We are the trusted local law firm with the experience to guide you through any commercial property or business acquisition in the Forney, Terrell, Rockwall and Kaufman area. We also serve all areas of North Texas, including Hunt County, Van Zandt County, Smith County, Dallas County and Collin County. Give us a call today and set up a time to speak with a licensed attorney. (972) 564-4644.